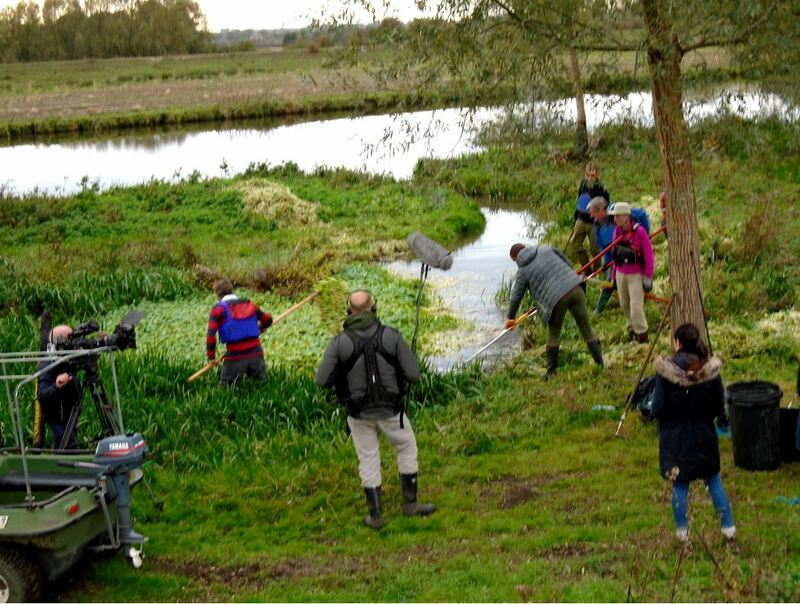 The film Director, Jo, has came up with an entertaining and informative story line, shown on BBC 1 5:30pm on Sunday 18th November. It’s available on iplayer until mid december 2018 here. Our bit starts 15minutes in. 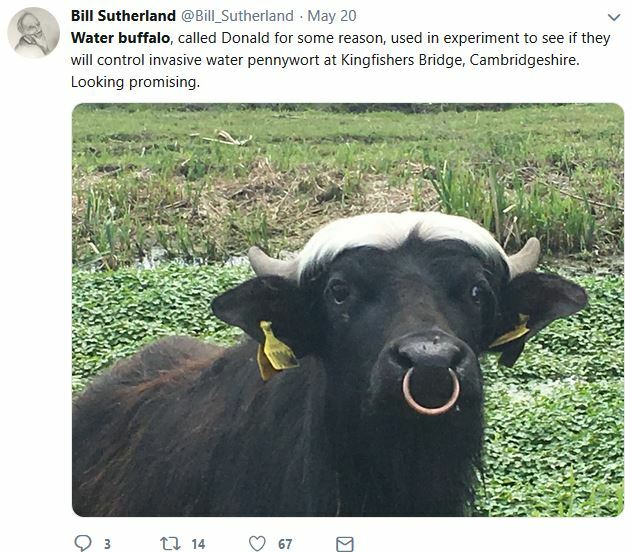 The same episode features Kingfishers Bridge’s Water buffalo, Donald and Dumbo, who’re also getting stuck in helping protect Kingfishers Bridge from the Pennywort …. We think Donald might be the true star of the show!